One of my favorite people in one of my favorite places. Paring down my genealogy social interaction was a wise choice on my part. Often we feel compelled to be present at every hip and popular website. Are you pinning enough? Feeling the pressure for more "likes" on your page? Worrying about Klout scores, when you don't even understand how they work? Why? With a finite number of functional hours in each day, why worry about those things? Is it worth it? Life is short, people, and the clock is running. How many social networks, websites and apps do you handle each day? What do you monitor or participate in...and how much time do you devote? Do you get anything out of it? Think before you answer. Do you check Facebook out of habit? Do you scroll and scroll through others' updates without actually reading them? Why are you skipping them? Why do you even have them in your feed if you don't read them? 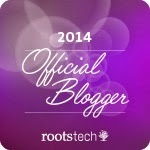 The genealogy social media scene is like a giant, untamed and overgrown garden. If you try to do too much, everything gets crammed and jumbled. It's time for some pruning and maintenance. I'm not telling you to drop everything and tune out. There's probably a lot of excess in your social media life and you don't even know it. Now we're going to take care of it. Bring your pruning shears. Take a look at your friends list. Anyone you want to unfriend for any reason? Do it. If that is too harsh, you can always boot people from your news feed or limit what you see from them. They'll never even know. Block games and apps you don't want to see. Stop getting mad at people for inviting you to play games. Block the games and apps yourself. You'll never see them again. Do the same for folks who send too many cat pictures, witty sayings, political statements or whatever else sticks in your craw. Unfollow or unlike any Facebook pages you don't want to see anymore or no longer update. No need having your name associated with them. I love Social Fixer so much. It basically gives you the power to control many of the irritating things about Facebook. I haven't seen a sponsored ad in months, and my newsfeed is always set to "most recent." Social Fixer also lets you know who unfollows you, so get all your own unfollowing done before more people discover this handy tool. Take inventory of all your other social media accounts, determine what you want and don't want to see from them and act on it. Pinterest, Twitter, Google+, Instagram, etc. Unfollow if necessary. It's ok. I actually unfollowed several friends on Twitter because they share the exact same information there and on Facebook. No need to read the same thing twice. Simplify is the name of the game. Somehow I get a ton of genealogy-related sales pitches, sale flyers and such in my inbox. You probably do, too, and delete most without a look. Take an hour and unsubscribe from these things. Also take a hard look at email discussion lists. They're handy, but they generate a lot of messages...especially where there's a debate over the definition of professionalism. It is ok to unsubscribe if you feel it is not worth the stress. Anything that makes you upset needs to go. Social media fatigue is a real thing. It is possible to have too much information coming at you. When that happens, you miss the good stuff because you're too busy dealing with the noise. Eliminate that noise. Simplifying your genealogy social life sounds scary, I know. It won't make you less social. Instead, it will bring you a better interactive experience and improve your social connections. I promise. What a great post. Glad I don't' use even half of the stuff you mentioned or I would be overwhelmed in a heart beat. Your posts have been inspiring. Keep up the good work. This is a great reminder of the need to make sure our priorities are in order and that our precious time is being spent correctly. I've never used Social Fixer before, but it looks interesting. This was impressive - intelligent and responsible. I already have done almost all of what you suggest and update it regularly. Another thing is NOT using the apps on your phone to access what is on your computer (like Facebook). You need to choose your timing when it is best for your life. Knowing EVERYthing about everybody else at this minute is nowhere near as important as knowing one true thing about yourSELF forever. I cannot agree more about Facebook. I had to remove about 75% of my friends from my NewsFeed. Now I'm much happier when I log on and don't have to scroll through so much junk. Overall, though, I probably have the opposite problem. I probably don't use social media enough. I have rarely used Twitter since the FGS conference in Knoxville in 2010. I just found Pinterest, but I'm trying to take my time with it and not jump into it full force only to abandon it 2 weeks later. I made my first cake from Pinterest today :). Great post. Thanks for the Social Fixer info. I'll be giving it a whirl. I love this post Amy! I think you've expressed in your post what many of us feel. Companies have full time people doing their social media. Sometimes I wish I did as well. Your suggestions and those of your followers will certainly help cleanup my desktop! My teen age sons go off facebook periodically. They just don't trust themselves not to check so they actually deactivate their accounts when they are really busy! I don't need to be that drastic but I do only check a few times a day and I do filter annoying people as well as all games. I agree with Barb that limiting where you check to either your computer or your phone is an excellent way to organize how you handle you social networks. You can even delete the apps from your phone if you don't trust yourself! A very thoughtful post that made so many valuable points. I am not a great user of social media - dislike Facebook (though I am on it) and have never "twittered", but yet I have difficulty in keeping up to date with geneablogger daily beats, plus another hobby network site, and commenting on fellow blogger postings. It can be so easily addictive wanting to check continually on sites and hopefully comments received - just as well I do not have an IPod or IPad. Just installed Social Fixer and love, love, love it! It was a bit slow to load the first time on Google Chrome, but the detailed ability to hide things on my Facebook screen is invaluable. Thank you for the tip. I enjoyed your blog about simplifying my social and genealogical life. I had decided not long ago that I was becoming too overwhelmed with all the blogs I was reading and the webinars online so decided to stop some of it and organize my genealogy information. I don't have to read everything and learn everything all at the same time. The information will be there when I get a better handle on life. I have organized closets and under beds too and so love the way they all look. It makes me feel like I can breath again...so thanks again for the push.